> What's the difference between a recruiter and a headhunter? 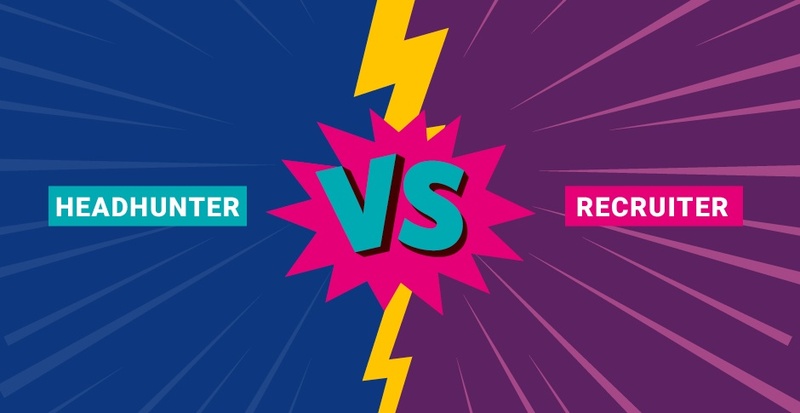 What's the difference between a recruiter and a headhunter? Recruiters, headhunters and hiring managers are often thought of as one and the same, because they can all help get you a job. But each of these professions has a different purpose, which can affect how you interact with them during your job search. We break down the key differences between the professions and how you can work best with each one. A recruiter attracts and sources people to fill specific positions. Internal recruiters work in-house and are responsible for their company’s hiring needs. External or agency recruiters work for recruitment agencies and can specialise in permanent or contract recruitment. Any recruiter’s primary purpose is to help businesses find the right people for jobs says Sarah White, Head of Digital, Customer and Insights at recruitment agency Tribe. “A recruiter usually teams up with a hiring manager to define the job’s requirements and understand their ideal employee,” says White. They are responsible for all pre-hiring tasks such as advertising, screening job seekers to check which are suitable to be invited in for an interview, interviewing candidates to check skills and cultural fit, booking second interviews, checking on compliance, such as credit and police checks and making offers.” Internal recruiters are paid staff of the company that hires them and are typically paid a salary rather than commission but may get paid a bonus. External recruiters are usually paid a base salary plus a commission or bonus. They can work with businesses in different ways, including on a contingency basis where they compete with other recruiters and are paid when they place someone in a role. Ashley Kamien, Senior Consultant at legal recruitment specialist Sigma Executive, says the success fee an agency recruiter is paid is usually a percentage of the successful person’s salary. When would you work with a recruiter? When you go for a job, your first interaction is likely to be with a recruiter. They’ll determine who gets to meet with the hiring manager, whether that’s through applications for the role or recommendations from within their network. Even if you aren’t selected, you shouldn’t overlook the opportunity to build relationships with experienced recruiters. “Recruiters are very knowledgeable about the industry or discipline in which they specialise, and they may be aware of jobs that are hidden or unadvertised,” says White. Finding a recruiter that specialises in your industry or profession can benefit your job search. Recruiters often advertise their brand to showcase their specialties, so read up on who may be recruiting for roles of interest to you, says White. “Ask those you know which recruiters they have had a good experience with and why,” she adds. Headhunters typically work as third-party agents for their clients. Often, headhunters focus on a speciality area or executive roles. Many employers will use a headhunter when they have a very important vacancy to fill. Other employers supplement their recruiting staff with external headhunters. Kamien says the one key difference between a recruiter and a headhunter is recruiters will advertise job vacancies and use their networks to attract candidates who are actively on the market. They will then compile a shortlist of candidates for the employer. A headhunter gets paid in increments through the recruitment process. As with recruitment, employers generally pay headhunters a fee based on the percentage of the salary for the position they’re filling. When would you work with a headhunter? You would typically work with a headhunter when they approach you. They will only do so if they have identified you as having the necessary skills and experience to be considered for a position. If you’re not interested in the role, it’s worthwhile recommending others you believe may be suitable. This will encourage the headhunter to approach you for other roles you may be interested in. The hiring manager is usually the person that has the final say as to whether a person is placed in a role. In most cases, this person will be the manager or supervisor that you will report to if you get the job. When would you work with a hiring manager? You will often only deal with the hiring manager towards the end of the recruitment process, usually at a formal interview. For some businesses, a recruiter sits between you and the hiring manager. You should use the time with the recruiter to find out as much as possible about the hiring manager and their needs to give yourself the best chance of landing the role. In a smaller business, you may engage directly with the hiring manager through the whole process. The best way to find a hiring manager is to tap into your networks and try to identify a connection who works for the company you’re interested in.